We don't know if the Minnkota family was more charged up about the Bolt or the brownies on Monday afternoon, but both were served up for an informational session on electric vehicles and their place in the future of the energy industry. 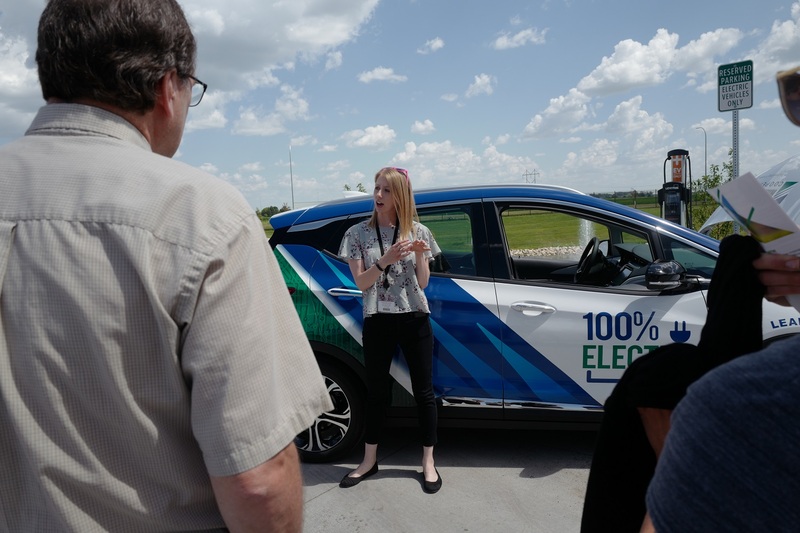 Employees were invited to come check out the new 100 percent electric Chevy Bolt that Minnkota added to the fleet earlier in July. The car will be used as a tool to educate employees about EV technology so that they, in turn, can educate our communities. Dozens of people from all departments -- engineering, operations, energy marketing, accounting and so on -- flocked to the parking lot to ask questions about charging, efficiency and, of course, legroom. 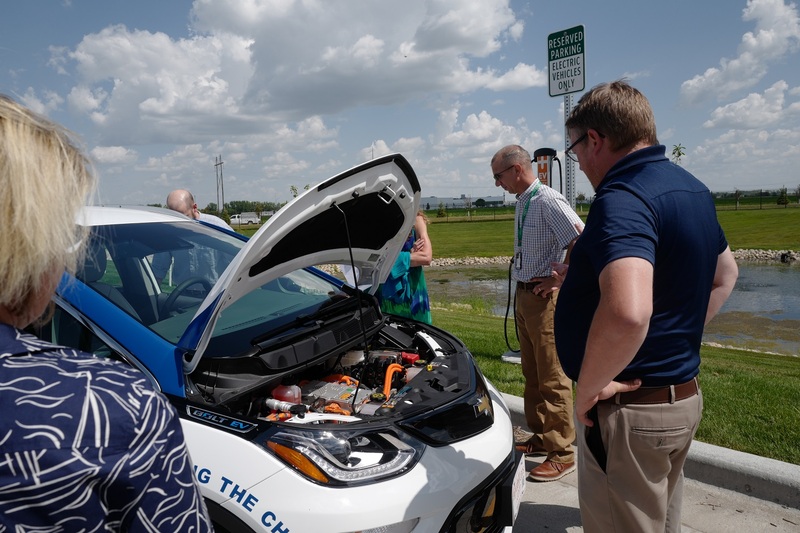 It was a hot afternoon, but that didn't stop more than 50 Minnkota staff members from taking a quick break from work to learn about the Chevy Bolt. Many questions revolved around how the battery fares on long-distance trips, but some were more intrigued by the level of comfort and safety of the EV. 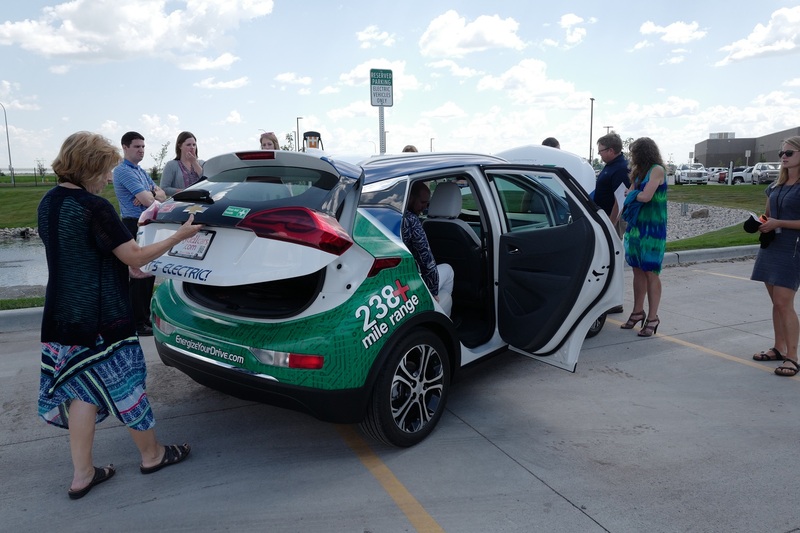 Communications Specialist Kaylee Cusack had a great time describing her experiences traveling in the EV and urged others to sign up for a test drive. This team is excited to get behind the wheel to bring the EV to meetings and events. That fervor was seen in ink, as a sign-up sheet for test drives filled up in no time. Test drives will run all week long, and we can't wait to hear what everyone thinks about the handling and acceleration. Those of us who have already taken it for a spin are already fans. By week's end, we'll certainly gain a few more.